Global News health reporter, Su-Ling Goh, chats with EmploymentWorks participant, James, about his experience with the Centre’s employment readiness program. 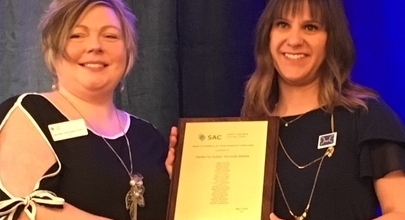 Global News health reporter, Su-Ling Goh, talks with Ewan Nelson Self Advocacy Award Winner, Jessica Pigeau about the importance of friendship for young adults with autism. Aspiring artists with autism spectrum disorder bring their ideas to life in artworks for all to enjoy. Show your support and ensure that Canadians living with Autism receive critical support.